Journalists, editors, and media executives from across the globe came together at the Women in News Summit to celebrate female leaders in the media industry and discuss the challenges women are still facing in today. Building partnerships with major sporting brands and engaging communities using emerging and existing technologies are the key to influencing how people will consume sports news in the future. We live in a “datacracy” that can help streamline the approaches of media companies – but only if these "treasure troves" are tapped into. 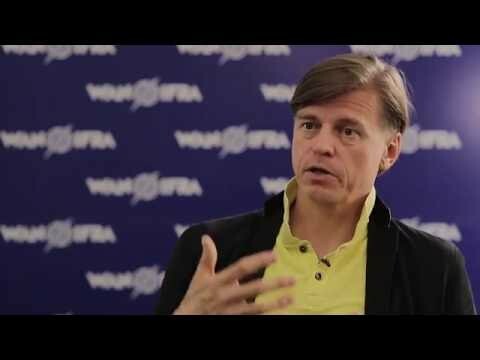 The following is the full text of the speech by outgoing WAN-IFRA President Tomas Brunegård to participants and guests of honor at the World News Media Congress in Durban, South Africa, 7-9 June 2017. WAN-IFRA has named an editor from Egypt and an editor from Kenya as Winners of the WAN-IFRA Women in News Editorial Leadership Award. Trends in Newsrooms 4: Is it crunch time for video? Tech firm Cisco estimates that by 2019 video will make up 80 percent of all Internet traffic. With that much demand, publishers have no choice but to prioritise their video strategies – and quickly. News organisations covet creating a meaningful connection with millennials and Gen Zers, with many investing heavily in new storytelling formats and social networks to engage with them. One way to reach this younger demographic that's becoming increasingly popular is to create content specifically for Snapchat. Schibsted Media Group in Scandinavia is often held up as THE shining example of a legacy news media group that seems to have gotten this whole "transformation" thing down pat. We are looking closely behind the scenes at the Schibsted phenomenon for an upcoming report. Here is a brief glimpse at what we have found. Australia’s printed weekly for children, Crinkling News, has shown that the public is ready to support print for kids, and also how tricky it is to make such a publication work financially. Meanwhile, a one-off New York Times insert is a hit with readers.